NetCat is a web app project inspired by the Netflix Secret Category & Genre Code Lists available on the internet. There are many forms of this list and we have assembled the most complete version into a functioning 'Netflix portal'. The ultimate Netflix streaming movie & TV show category search engine! You will have to be an existing Netflix member or logged into an active Netflix account to use NetCat. Once logged in you can then access the over 200 hidden genres, sub-genres, categories, & sub-categories that Netflix offers. NetCat takes some of the pain out of those Netflix Hack & Cheat Code lists by letting you see those secret Netflix categories without typing. Our site makes it as easy scrolling through a list and pushing a button. Even the most finicky of movie & TV viewers should find something to watch now! This site is powered by Sugar Coded Apps. Visit our full website to see more great apps & digital creations we offer or to get NetCat support. 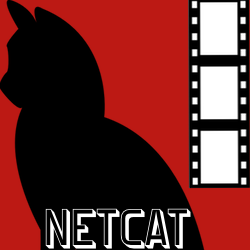 If you find NetCat useful please consider a donation to our tip jar. It help keeps the site updated, maintained, & running. Thank you.